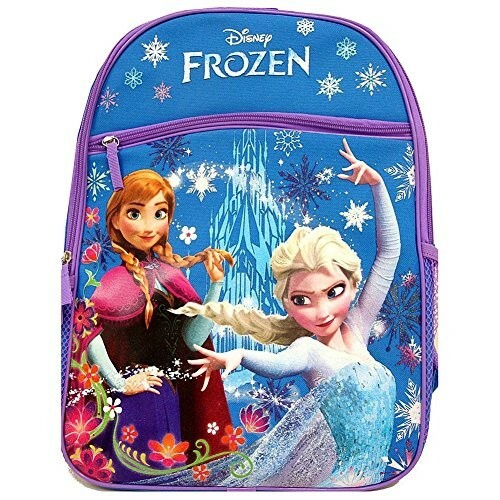 Frozen fans will love this backpack featuring sisters Anna and Elsa! This 16 by 12 inch backpack provides plenty of storage space and includes a large zippered front pocket and a mesh side pocket for a little extra organization. Padded shoulder straps make it comfortable to carry for a busy school year!